Every vehicle Subaru makes is designed and engineered to give you peace of mind and keep you safely on the road. However, Subaru Canada, Inc.’s commitment to your peace of mind doesn’t end there. With the convenient Subaru 360 C.A.R.E. (Customer Assistance for Roadside Emergencies) program, members are guaranteed not only quick, courteous emergency roadside assistance in Canada and the United States, but also other benefits designed to ensure an extraordinary experience with your Subaru – 24 hours a day, 365 days a year. Best of all, the extensive Subaru 360 C.A.R.E. program – which is sponsored by Subaru Canada, Inc. and backed by Canada’s leading automobile roadside assistance organization, the Canadian Automobile Association (CAA) – is offered free of charge for the first three years from date of purchase on every new Subaru vehicle, as part of a Subaru Protection Plan, or with the purchase of a Subaru Certified pre-owned vehicle. As a Subaru 360 C.A.R.E. member, you will receive a personalized Subaru 360 C.A.R.E. membership card and have access to a dedicated Subaru 360 C.A.R.E. toll-free telephone number (in English or French). 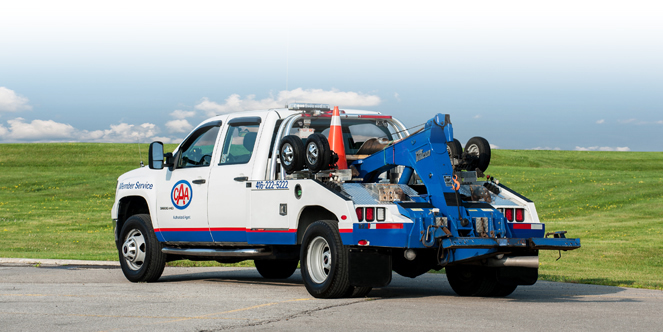 This 1-800 number will allow you to take advantage of over 20,000 roadside assistance contractors and 1,000 CAA and American Automobile Association (AAA) offices throughout Canada and the United States. If your vehicle’s battery is dead, a service person will attempt to start your vehicle with a battery booster or other available means. If your vehicle has a flat tire, a service person will install the vehicle’s inflated and mounted spare tire (when applicable). If your vehicle is stuck, it will be extricated by a service person if it can be safely reached from a normally travelled road or thoroughfare. Service is limited to one service vehicle and one operator. All of the roadside assistance emergency services apply to the Subaru vehicle registered in the Subaru 360 C.A.R.E. 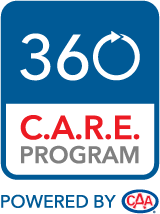 program, regardless of driver, provided they are in possession of the Subaru 360 C.A.R.E. membership card.